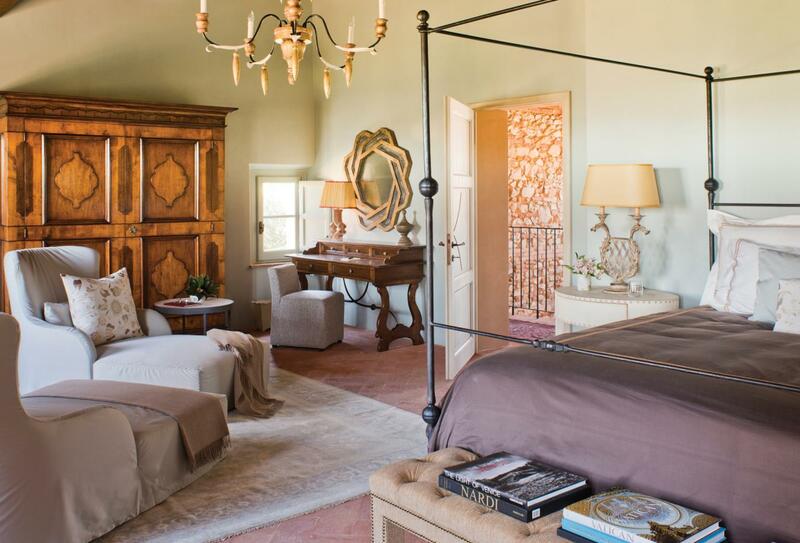 Dating back to 998, this respectfully renovated estate of 4,200 acres, was once the home of Italian film pioneer Luchino Visconti. 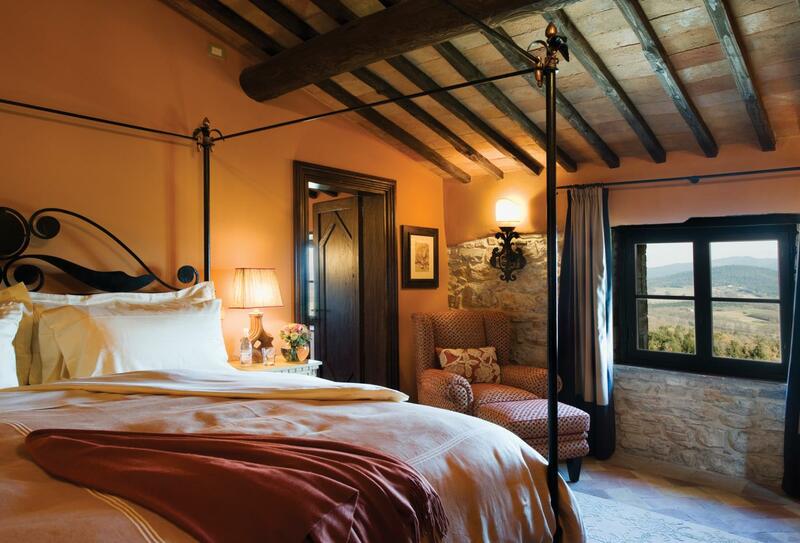 Guests will stay in its elegantly appointed rooms, suites and villas (some with private pools), or it’s beautiful farmhouses that accommodate up to 12 people. 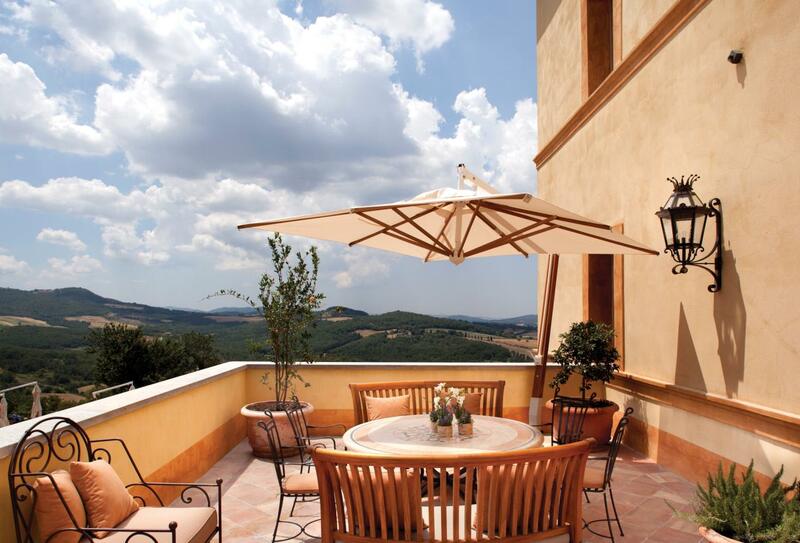 There are bars and restaurants at the hotel including a Tuscan restaurant and authentic pizzeria, all with stunning countryside views. 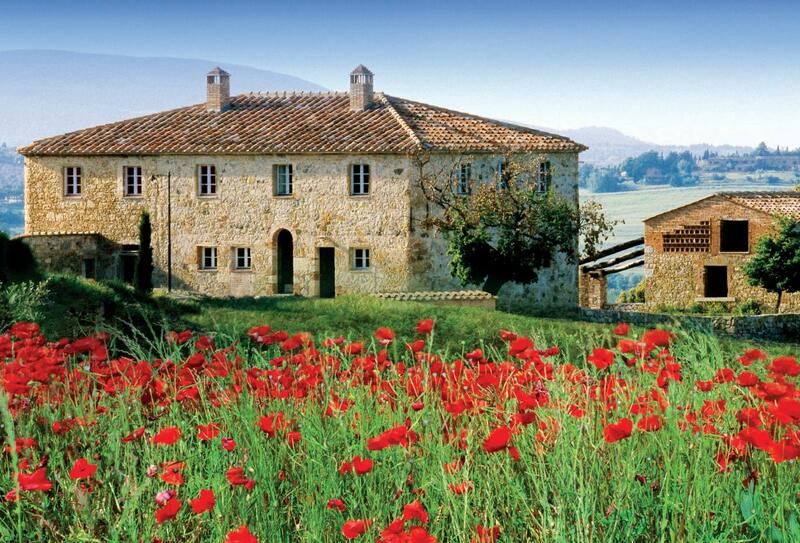 There are interesting activities onsite and in the local area, such as truffle hunting, horse riding, mountain biking, wine tasting and cooking & ceramics classes. 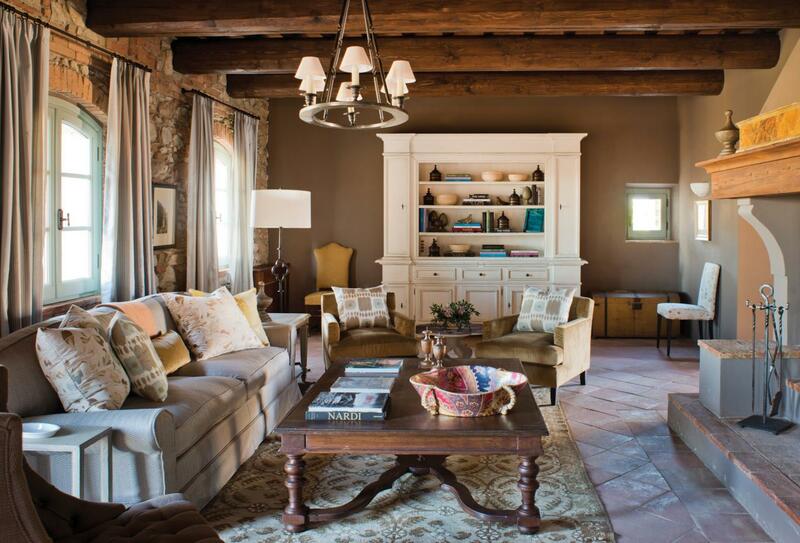 Stone walls, wood-beam ceilings and a rich colour palette create the setting. 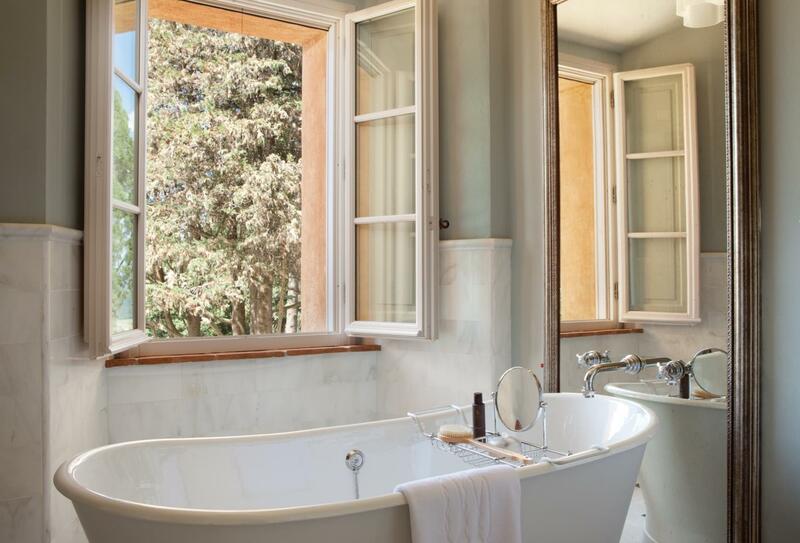 There is a marble or mosaic bathroom equipped with a double showerhead and a freestanding bathtub. 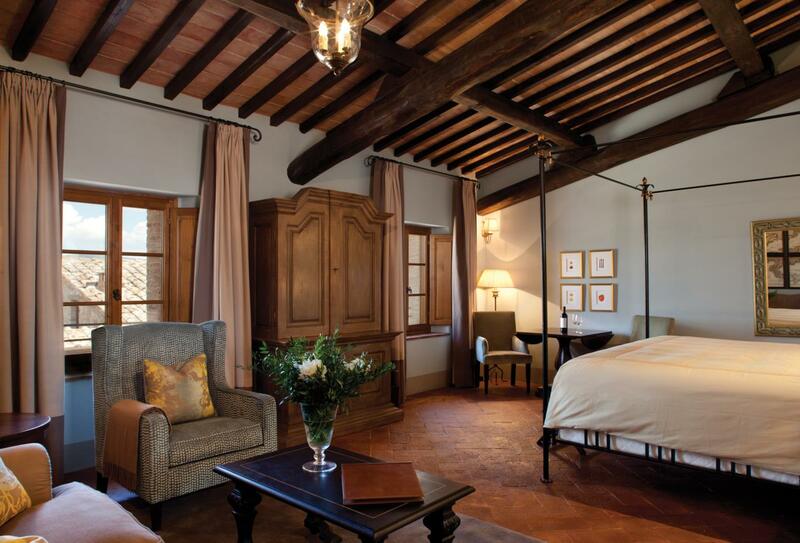 Blending exposed stone work with neutral smooth décor, the Suite Magnifica offers views of the courtyard or countryside. 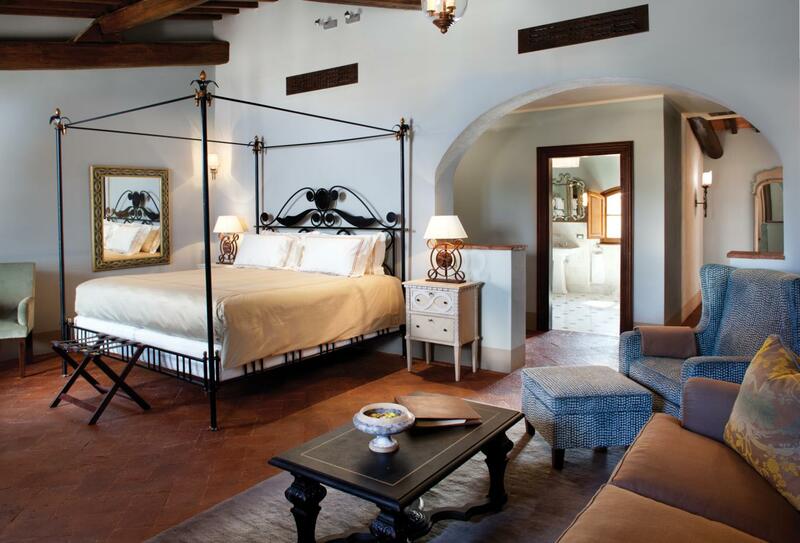 A refined lounge area and the bedroom are adorned in oil paintings and photographs. These two-storey suites open onto a shared garden terrace with seating. There is a contemporary living area on the upper floor. 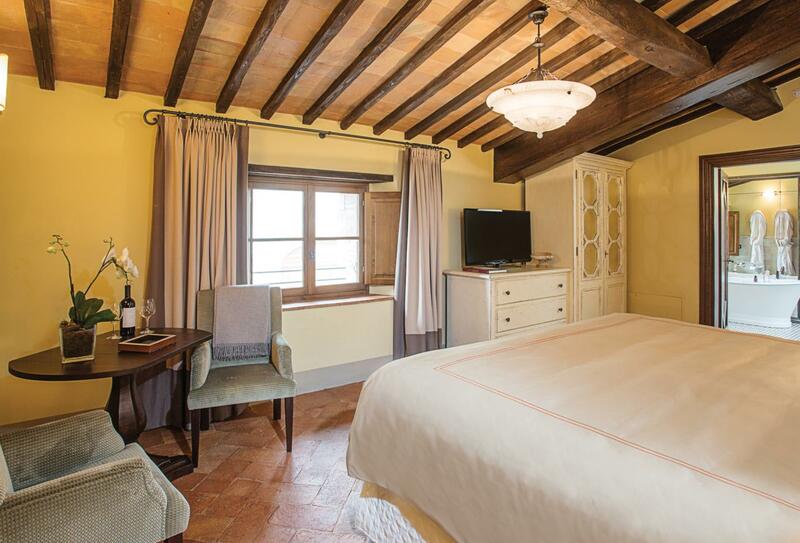 The master bedroom is on the lower floor with the bedroom and a furnished garden terrace. Inspired by a more modern Italian design, rustic interiors are replaced with dark tones and smooth surfaces giving a private apartment feel. 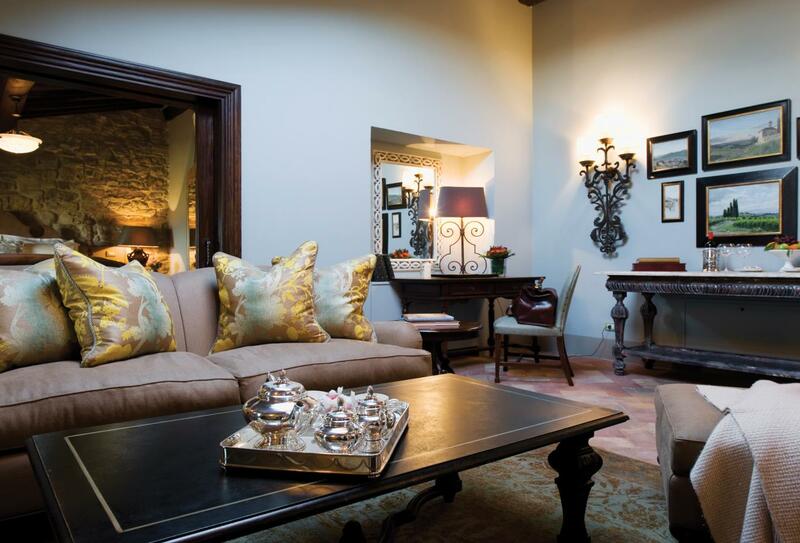 There is a living room, bedroom and large private outdoor terrace. 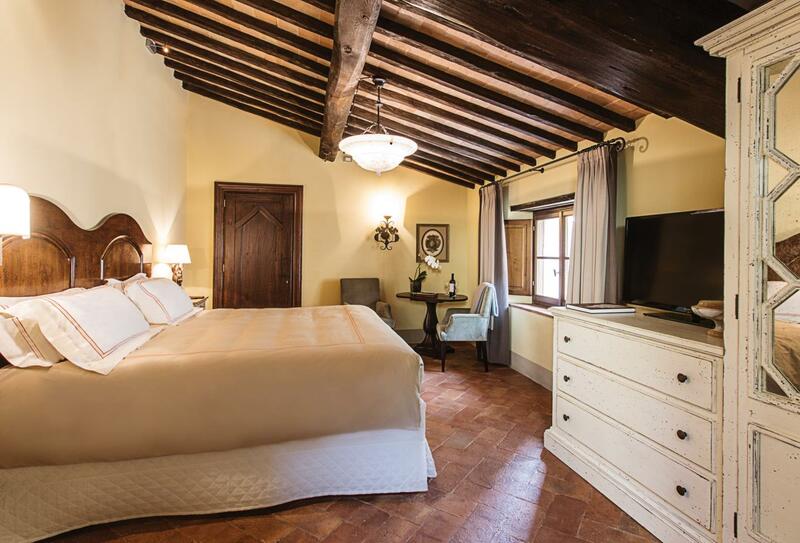 Bargargli Suites are located to the northwest corner of the hotel and feature two bedrooms. 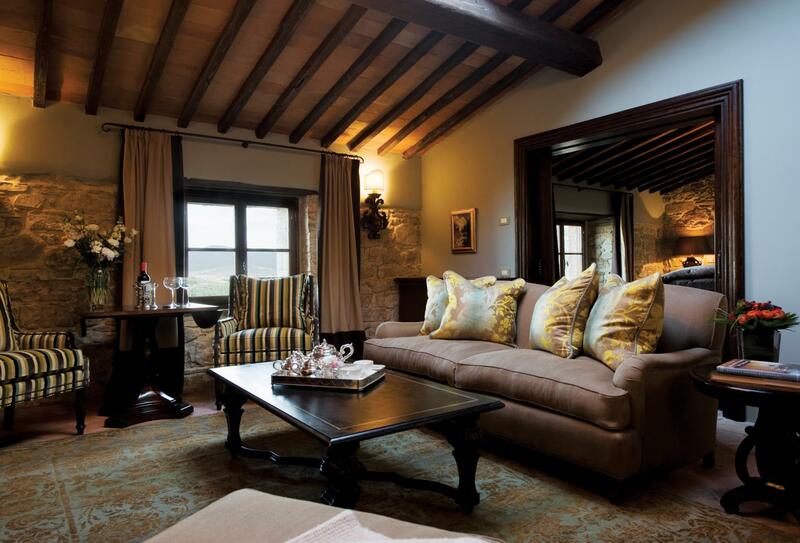 The suite includes a living room, kitchen, furnished terrace and views of the gardens, pool and countryside. The Two Bedroom Villa features a modern kitchen and dining space in addition to a huge lounge. 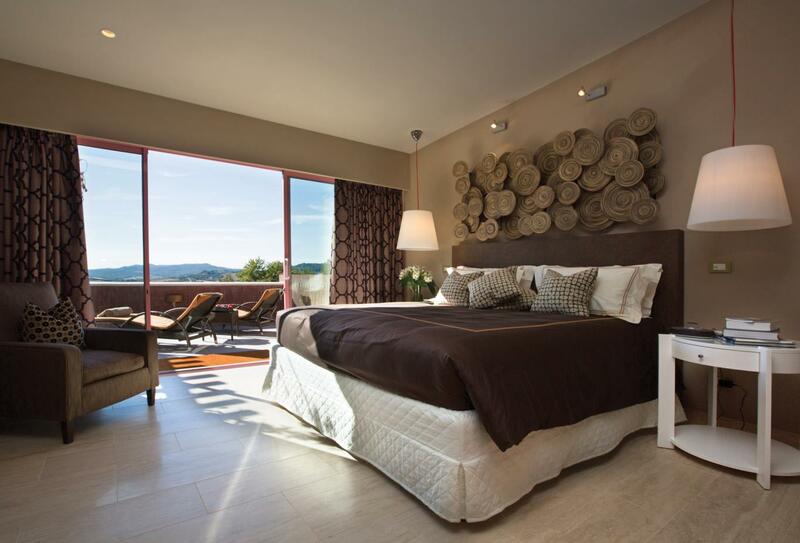 Two bedrooms and two bathrooms are included along with a dining terrace with a Jacuzzi outdoors. 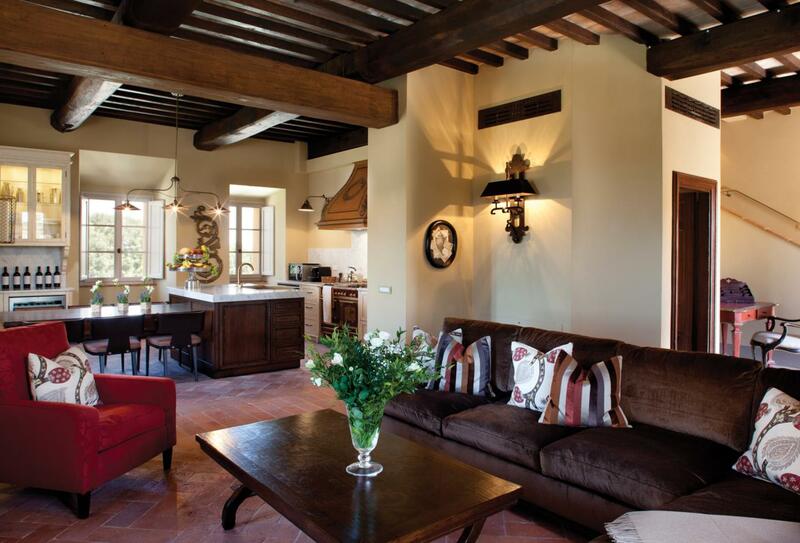 This expansive villa is split over two floors and consists of a kitchen, dining space and lounge area. 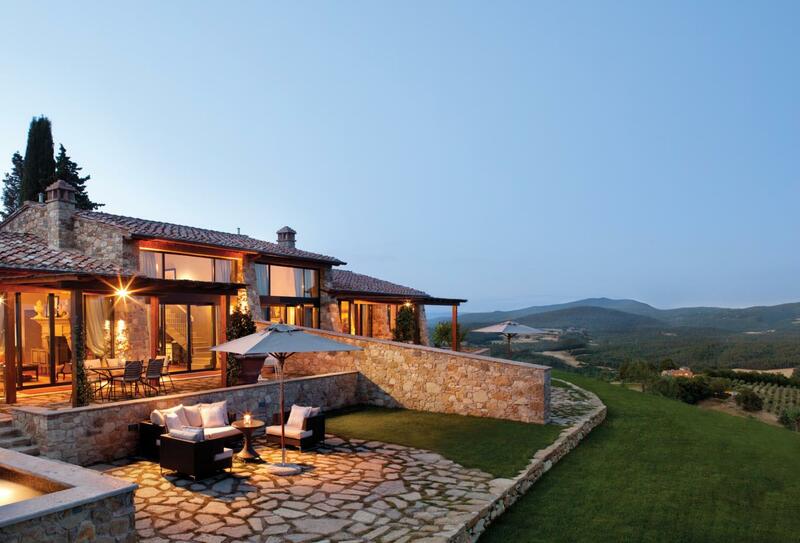 Large private terraces overlook the private infinity edge swimming pool and nearby vineyards. 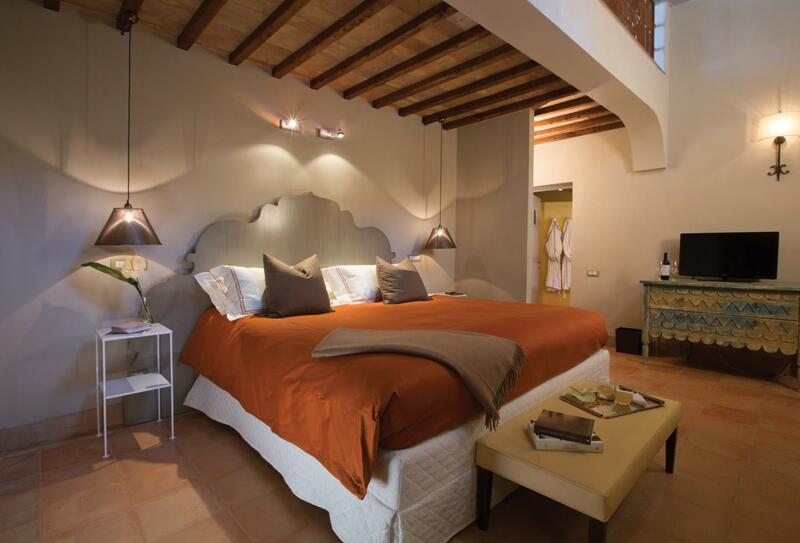 Split over two floors, these three bedroom Bargargli Suites comprise of richly decorated lounge spaces and a kitchen. 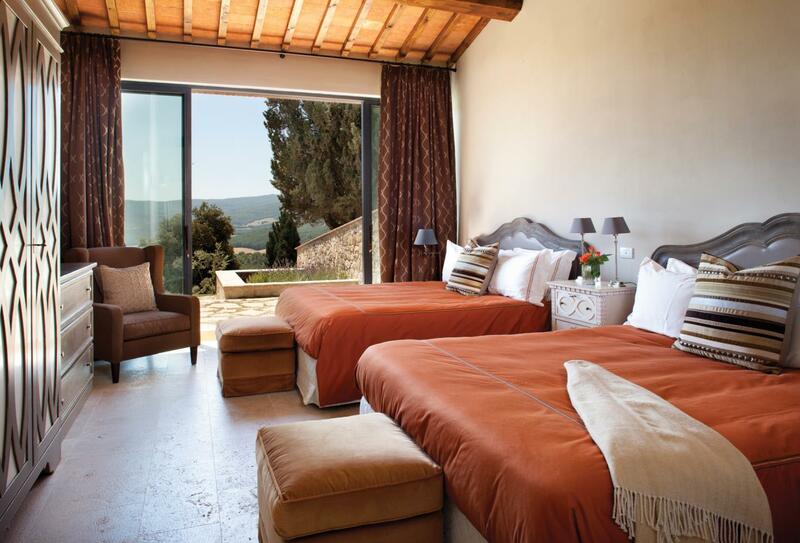 The suite overlooks the gardens, pools and hill towns and features a furnished terrace. 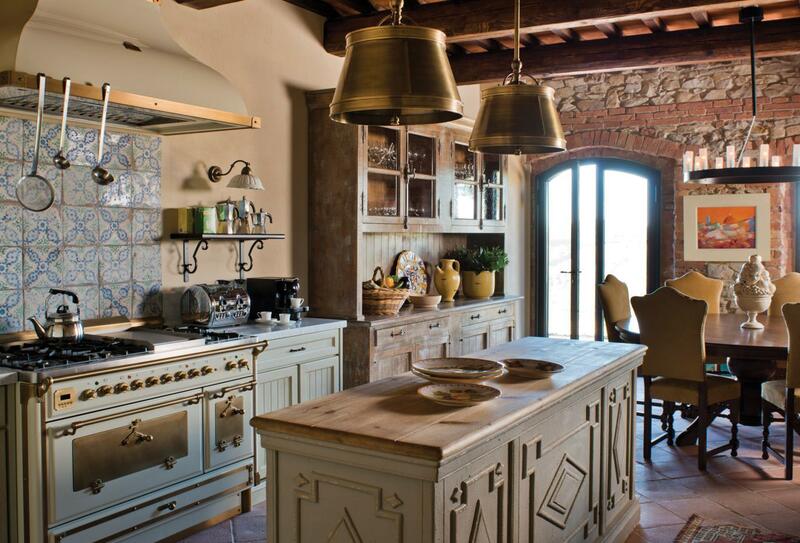 These restored farmhouses are secluded, spacious and built using local resources. 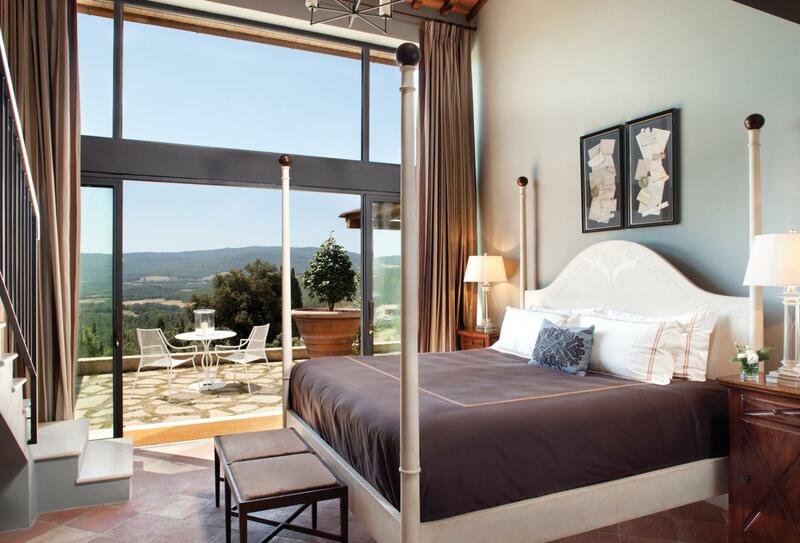 Each complex can home up to 12 guests and features views of the hills and a swimming pool. 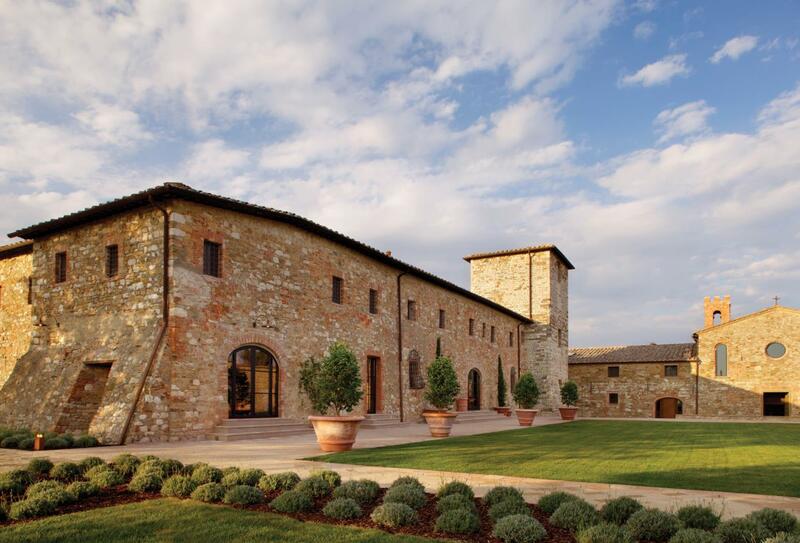 There are 11 of these properties in total, each with a varied number of rooms and bathrooms..
One of the more challenging golf courses in Italy, the Toscana Resort Castelfalfi consists of 27 holes divided into two courses. Experts will feel right at home here, with a driving range and golf clinic both onsite. A small club house with a bar is the ideal spot to enjoy a post-game tipple. The Golf Club Ugolino has been named amongst the 50 most beautiful golf courses in Italy and is a natural course, designed to fit the tree laden hills that surround it. Obstalces, such as trees and grassy ranges provide a challenge and this course can prove to be a test of player’s abilities. Enjoy fresh, homemade pasta made daily, hand-tossed thin crusted pizza in a classic Italian pizzeria setting. The restaurant also features a gelateria, a salad bar and an espresso bar. Named after one of the building’s previous residents, this bar overlooks the terrace and pool and offers carefully selected wines, spirits and cocktails. 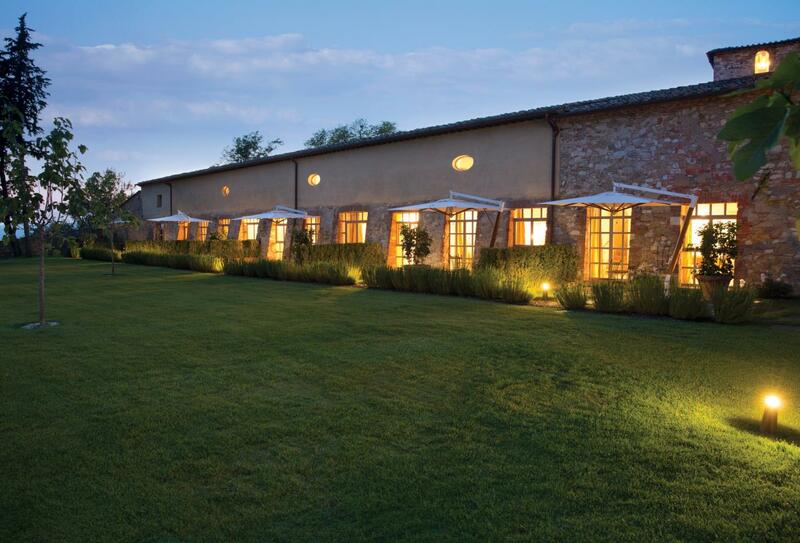 Ristorante Tosca’s serves traditional Tuscan dishes made from locally sourced meats and seafood. 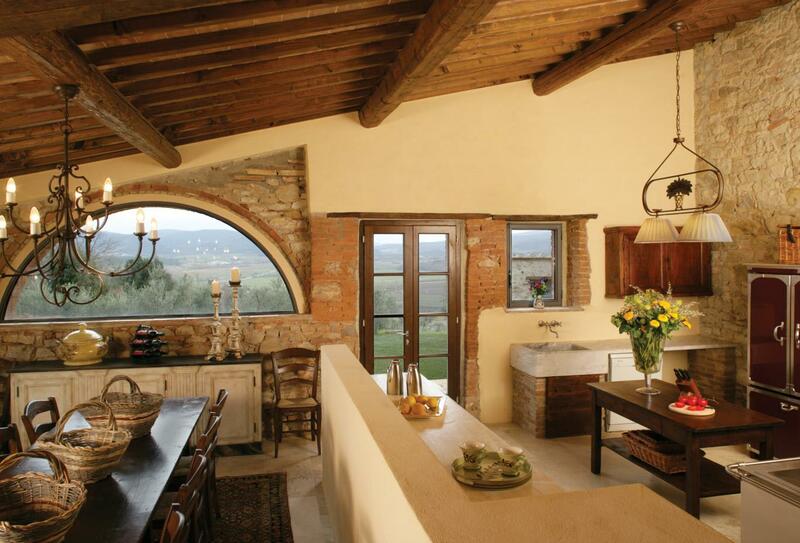 Meals are complemented by views of the surrounding vineyards and valleys. 24-hour room service for breakfast, lunch and dinner. 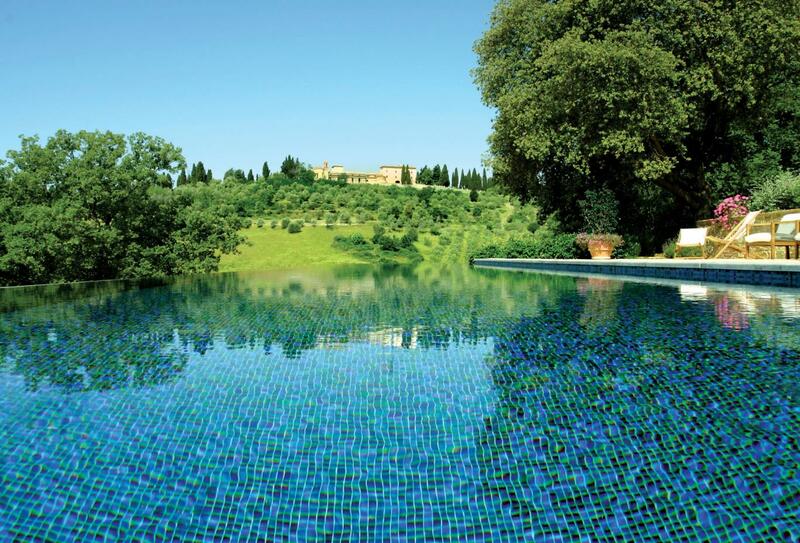 Castello di Casole is located to the south of Tuscany. 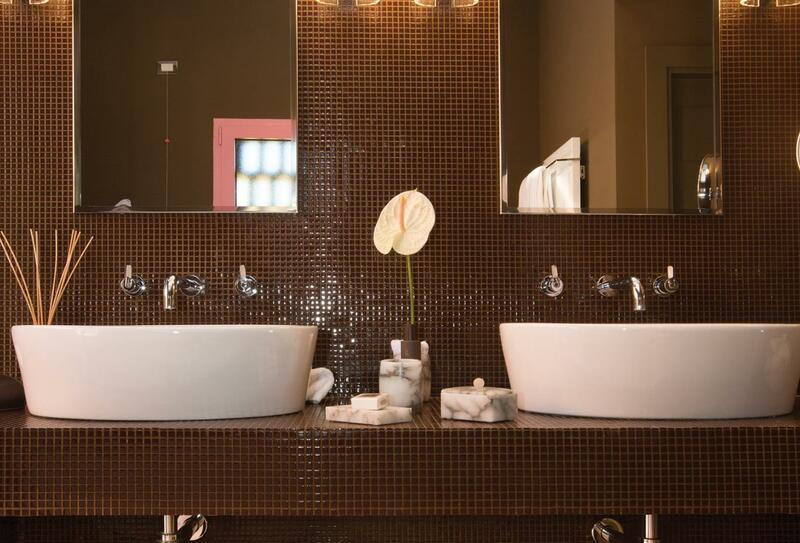 Two golf courses are within an hour of the hotel and it is about an hour from Florence Airport. 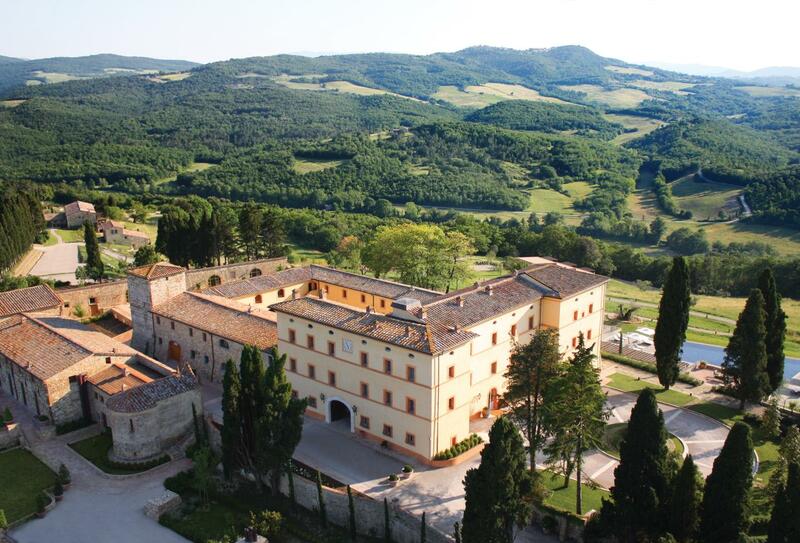 Castello di Casole welcomes families with children of all ages and offers the following facilities and services to ensure they have an enjoyable stay. 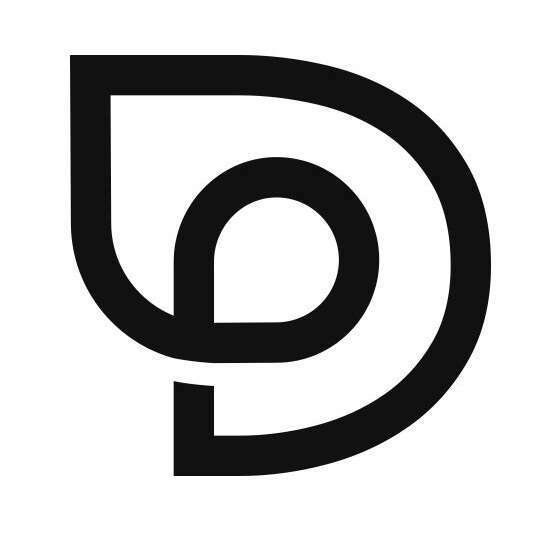 • Experience the fun of special treasure hunts, which can be organised throughout the city. The best treasure hunter will win a prize. Children must be aged 4 years and above. 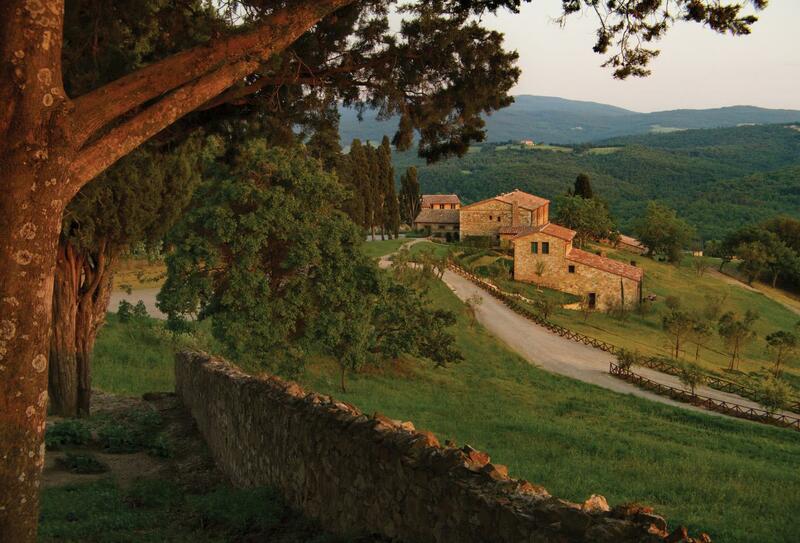 • Roll through the beautiful Tuscan woods and farms on a horse-drawn carriage ride for all of the family. Stop for a picnic or delight in a refreshing swim in the nearby river. 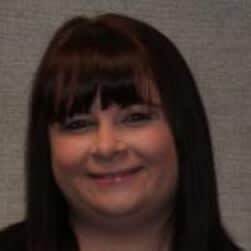 • Visit a chocolate factory, tempting for kids and adults who are young at heart. The chocolate factory is only a few minutes away and tours are available.